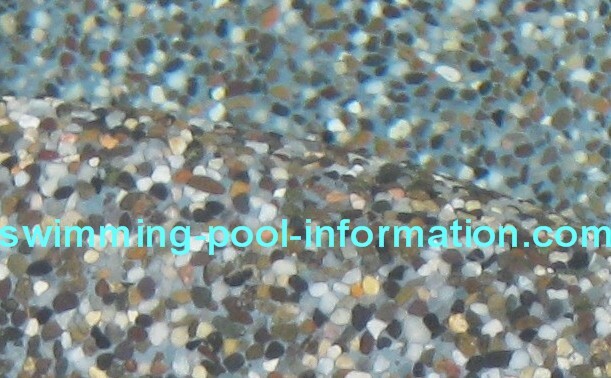 This is a close up of a step underwater showing one of the many colors of pebble pool coatings and the small, smooth stones covered in a resin-like material thats not only beautiful but very durable. 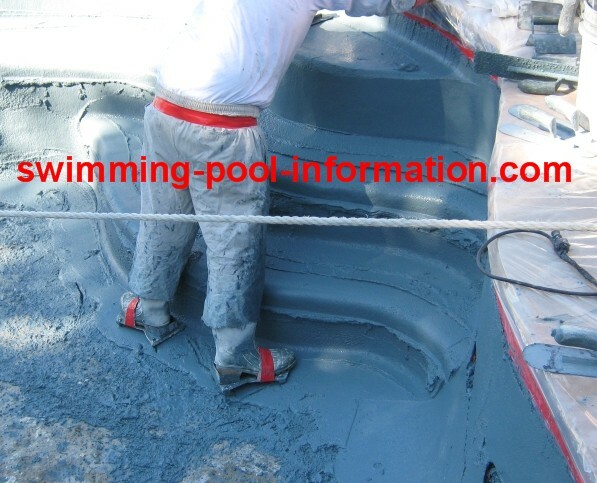 This particular color looks grayish blue overall....it is the step of pool on the bottom of this page after being resurfaced. ANOTHER IMPORTANT THING:it is NOT as rough as the photo appears - it IS rougher than plaster...but more like sitting on a rock with small pieces of glass but all the glass is laid flat and the spaces in between are grouted like millions of small ceramic tiles. 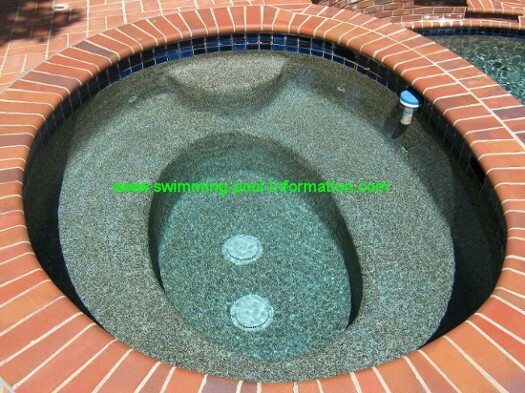 The spas above show two different shades of gray pebble pool coatings. 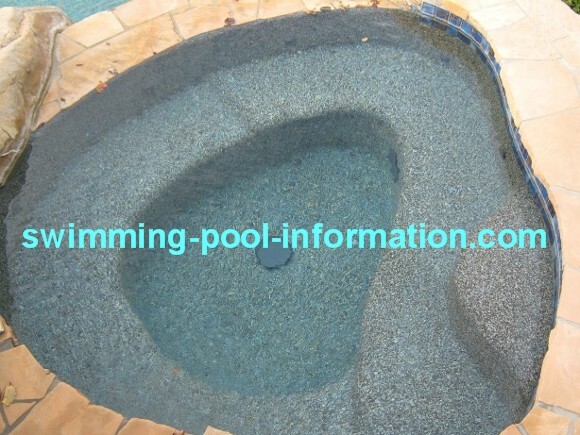 The spa with red brick coping is the color shown in close up at top of page. 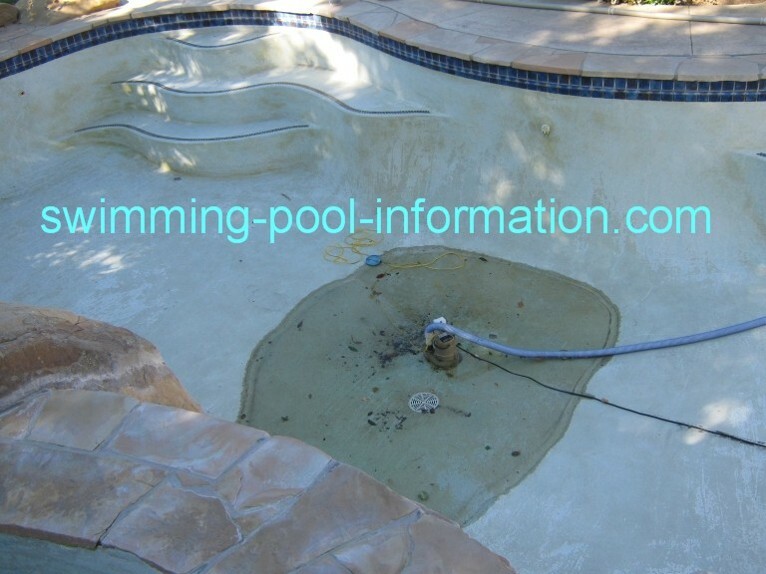 Its hard to tell from these photos, but the spa below that is lighter when viewed from a distance-I have photos of these entire pools in the "swimming pool photos" section. 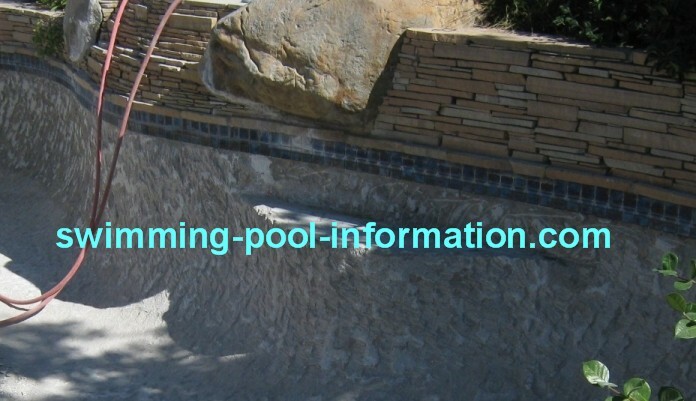 These pebble pool coatings not only come in different grades of coarse rock but also several different shades-blacks, blues, reds, greens, even purples!...18 colors in all! 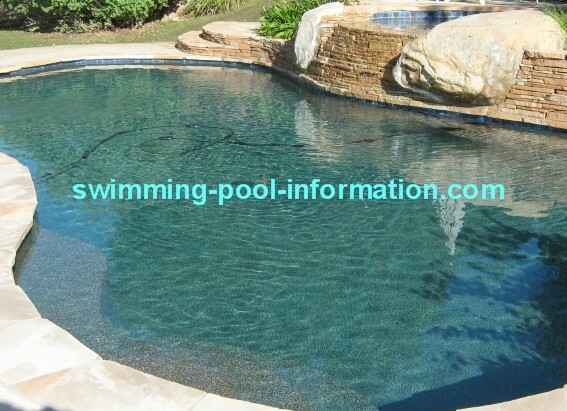 If you are interested in a pool surface like this, contact me with your information for a free estimate. 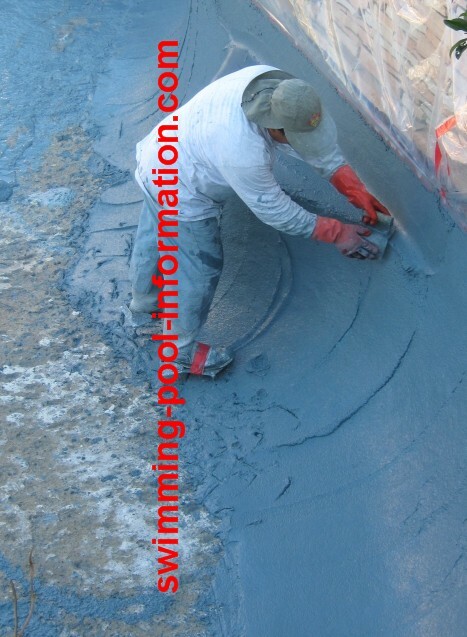 These coatings are available nationwide! 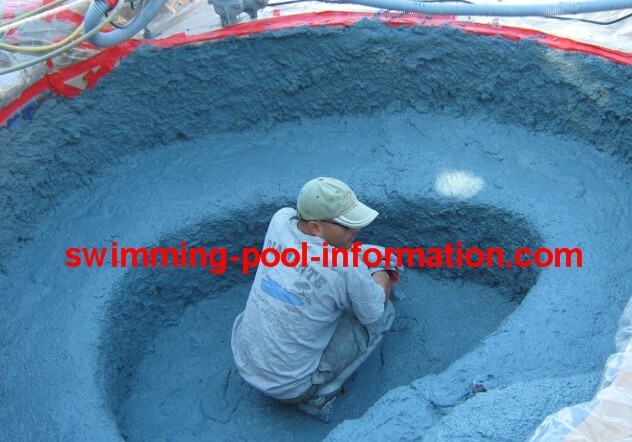 These coatings are more durable and withstand improper chemical balance better than plaster. 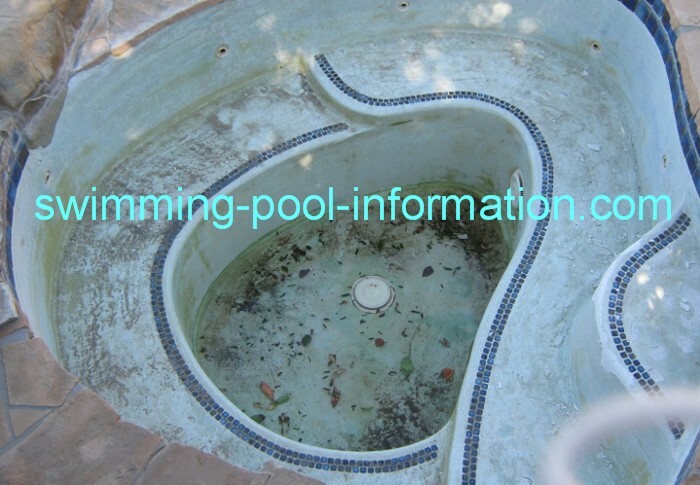 Also, in my experience, algae is less of problem on these type of pools. 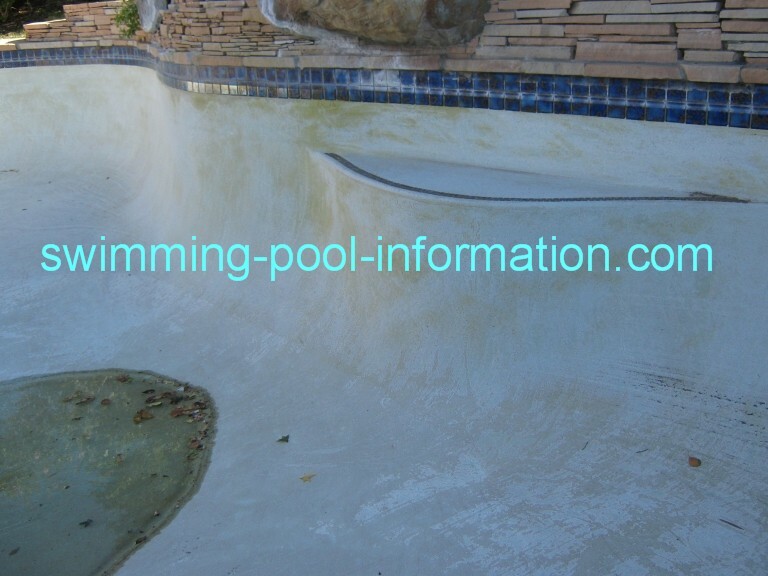 I have seen pools where the pebble finish is applied right to the top of the pool,but I would not advise doing that because the finish above water line gets faded from the sun...its much better to have a tile line just like on a plaster pool. 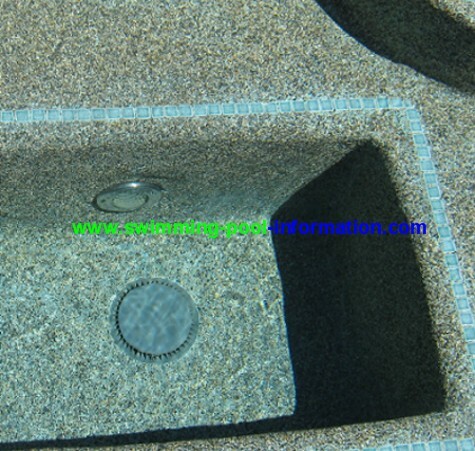 Close up of step...I also replaced white suction Pool Vac with black pressure Polaris - it looks better and is the right choice for this pool which gets mostly oak tree leaves. 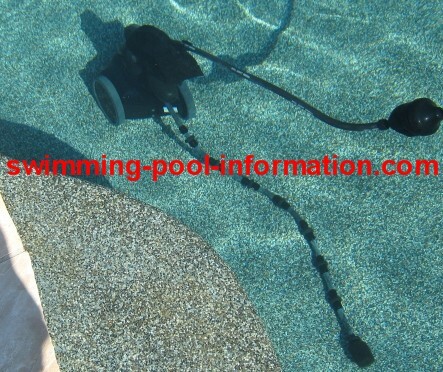 I also installed a wireless control system with a salt chlorine generator and a sand filter using recycled glass as the filtering media....it is as as clear as a D.E. 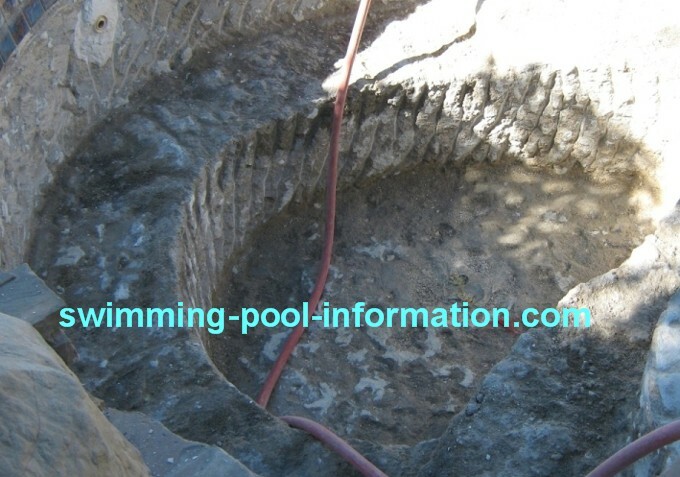 filter using water clarifiers. The D.E. filter he had simply could not keep up with the hillside dirt,oak tree leaves and other debris.